Military strategy for space follows from the four distinct aerospace roles and missions: force support, force enhancement, force application, and aerospace control. Space strategy includes coordination of these missions in pursuit of national objectives and as directed by policy.1 Countries usually employ military forces consistently with basic doctrine. The 1992 version of AFM 1-1, Basic Aerospace Doctrine of the United States Air Force, implies that space forces are most effective when integrated with air forces. The function space forces are to perform drives their deployment. The USAF usually deploys communications satellites in geosynchronous orbits and weather satellites in Sun-synchronous orbits. Likewise, the Air Force usually deploys missile warning satellites in geostationary orbits and reconnaissance satellites in orbits optimizing resolution or collection time. Thus since two of the above space missions (force application and aerospace control) are constant regarding assets employed, it follows that we need only to discuss space missions: force support and force enhancement, in the context of space strategy as currently pursued by the US Air Force. The space segment begins at an altitude where the principles of orbital mechanics replace the principles of aerodynamic lift. Space forces, like electronic warfare forces and mobility forces, support war fighters on land, on the sea, and in the air through all levels of conflict: low, mid, and high intensity. In addition, like air forces, space forces cannot be characterized as being solely strategic or tactical. Rather, space forces support multiple users and can simultaneously support strategic and tactical objectives. A good example of such support was the use of Defense Support Program satellites to provide theater/tactical warning during Operation Desert Storm while the satellites were also performing their strategic mission: attack assessment/warning of intercontinental ballistic missiles and submarine-launched ballistic missiles. Controlling the space environment involves ensuring access to space, defense of friendly space forces, and offensive actions to deny the enemy's use of its space forces. Forces can achieve space supremacy by conducting offensive counterspace operations or defensive counterspace operations. The objective of offensive counterspace operations is to disrupt, disable, or destroy the enemy's access and ability to operate in space. Forces can attain these objectives through such hard-kill means as the employment of an antisatellite interceptor or ground-based laser and also by employing such nontraditional means as jamming, blinding, or spoofing. The objectives of defensive counterspace operations include active defense of friendly satellites and passive defense measures, such as frequency hopping, hardening, and maneuvering that reduce vulnerability and increase survivability. US space supremacy was the key to the tactical deception operations carried out during Operation Desert Storm. Iraq's lack of space reconnaissance and surveillance capability allowed allied terrestrial forces to maneuver undetected and achieve surprise, thus saving lives and accelerating the termination of hostilities. The US cannot achieve the same level of success against an enemy possessing space forces without first achieving and maintaining space supremacy. The Defense Meteorological Satellite Program (DMSP) also contributed significantly to combat operations during Desert Storm (see annex A). DMSP satellites and land- and sea-based transportable tactical ground terminals provided near-real-time infrared and high-resolution visual weather imagery of the area of operations. By providing current data on cloud cover and such atmospheric disturbances as dust storms, DMSP directly influenced target and weapon selection for interdiction sorties. In addition, the Army and Navy used DMSP data for planning aerial assaults and to warn ground and naval forces to "button up" during storms. The availability of DMSP prevented aborted sorties due to weather and saved lives and equipment. The Commander in Chief United States Space Command (USCINCSPACE) Gen Donald J. Kutyna, in testimony before the Senate Armed Services Committee on 23 April 1991, identified several high-priority space systems needed to implement the current military space strategy. 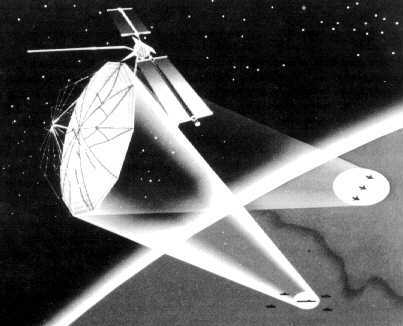 First, to achieve space supremacy, General Kutyna identified the need to develop an antisatellite system. "The need for an antisatellite capability is simple: deny the enemy use of space systems integral to warfighting capability. "7 The USCINCSPACE requirement to employ space forces for offensive counterspace activities is established in doctrine and supported by national space policy. This section provides an overview of satellite systems and launch vehicles to which General Kutyna referred. A few of the high-priority space systems needed in support of US military space strategy include space-based wide area surveillance (SBWAS) to provide warning information on global air and maritime threats; multispectral imagery to provide broad area change detection, terrain analysis, mapping support, and concealment information; Milstar to provide survivable communications for strategic and theater users; tactical satellites to augment existing space force structure quickly in crises or war; and the National Launch System to provide a robust capability to access space.12 These emerging space systems will enhance strategic and tactical warfare. SBWAS would employ one or both of two basic sensor phenomenologies--radar or infrared (IR). The radar concept would use an array antenna; the IR system would have either a staring or scanning sensor. The phased array radar concept uses radio-frequency energy radiated through an array of transmit/receive (T/R) modules distributed across the face of a planar antenna.14 These modules allow phased arrays to instantaneously point the radar beam anywhere in its field of view. The drawbacks with a phased array system are the power requirements and the large number of electronic components required for a single antenna. Array integration and the number of T/R modules required pose significant challenges in cost and construction of a space-based system. Regardless of the technology chosen for SBWAS, it has the potential to serve both strategic and tactical users. Strategic users of SBWAS data would be found at the level of data fusion centers, commanders in chief headquarters, carrier battle groups, and national decision makers. Tactical users of SBWAS data could be squadrons, wings, and battalions. SBWAS data would include information on aircraft, ship, and ground target locations. The system would provide forward users longitude, latitude, azimuth, elevation, speed, direction, and classification type (i.e., aircraft, ship).16 The SBWAS system is intended to allow users to task the satellite constellation, assure timely distribution of detection and track data, and provide survivable surveillance support during conflict. Multiple-user communication paths and ground site transportability will provide enhanced survivability against ground attacks. Track data would be disseminated in near real time to decision nodes and data fusion centers. The timeliness and quality of this data are critical to operational commanders because such data maximizes warning time and increases options in military response. Multispectral imagery (MSI) is not a new technology; the civilian community uses it to study the Earth's landmass and oceans. MSI systems collect multiple, discrete bands of digital electro-optical imagery in the visible and reflected/emitted infrared regions of the spectrum.17 Current civil applications include estimate of nutrient content, identification of geologic structures, estimates of crop yields, location of transportation infrastructures, identification of pollution, and support of water management. Requirements to make MSI a more productive system for future air, land, and sea campaigns are improved spectral and spatial resolution, stereo imaging, and wide-area coverage.20 If these requirements are met, MSI could play a major role in tactical decision making. The Milstar space segment will consist of a constellation of six satellites in a mixture of low- and high-inclination orbits. A low-inclination orbit would place the satellites in positions to cover the Atlantic, Pacific, and Indian Ocean areas and North and South America. Satellites in the high-inclination orbit would cover the polar regions, Europe, Africa, and western Asia.27 Satellite-to-satellite cross-link capability will assure global coverage. The cross-link network will route the appropriate communication traffic from terminals in view of one satellite to another terminal located at other parts of the world not covered by that satellite's field of view.28 The cross-link capability will provide near-real-time connectivity without extensive relay and circuit patching. Its UHF satellites will primarily serve tactical users. UFO will provide almost twice as many channels as FLTSATCOM and has about 10 percent more power per channel.32 The EHF package on satellites four through nine will have an Earth coverage beam and a steerable five-degree spot beam that enhances its tactical use. The EHF capability also allows the UFO network to connect to the strategic Milstar system. First launch of the UFO is scheduled for the near future, with constellation completion dependent on replacement needs for the aging FLTSATCOM constellation. The Atlas II is the current launch vehicle of choice; however, space shuttle compatibility will exist. The UFO bus and payload will weigh 2,300 pounds. The solar array spans 60.5 feet and will produce 2,500 watts at the end of the planned 14-year lifetime. The tacsats are intended to provide an alternative to complex multi-mission space systems. Current plans include design features that would use standard interfaces to provide mission flexibility, responsive launch, simplified support, common training, and lower cost. The system would either launch on schedule or demand, using responsive vehicles or prepositioned assets in orbit.34 Built for simplicity, tacsats do not carry the redundant systems necessary to keep conventional satellites operational.35 They do not need these redundancies because less is expected of them in terms of mission and lifespan. Tacsats would be smaller than conventional satellites by design (500 to 1,500 pounds in weight and only 38 inches in diameter). The smaller, simplified systems would cost less and could be readily produced. With few exceptions, the long development cycle time between requirement identification and launch date for advanced systems limits US ability to react quickly to fast-changing or newly emerging threat situations. Small, less complex space vehicles produced at lower costs would allow the US the ability to deploy quickly against specific threats. The Air Force currently tailors constellations of large space vehicles for coverage of selected geographic areas based upon historical requirements. Thus, a change in coverage is at the expense of other geographic areas. Tacsats could fill geographic gaps for selected theaters of operation or other areas of interest. Using tacsats could not only provide dedicated battlefield support in wartime but also could help to reduce tasking conflicts for larger assets required for higher priority actions. The current force structure emphasizes large multipurpose satellites which serve many users. Tacsats could give users who require dedicated support a space asset totally responsive to their needs. The use of these small satellites strategically planned in advance could also offer additional surge capability in time of war. A benefit of tacsats is the relative ease with which boosters can place them in orbit. For example, Pegasus (an air-launched vehicle that can be strapped onto a B-52 or other aircraft and can boost approximately 400-700 pounds to low-Earth orbit36) could launch the lighter tactical satellite. This launch tool would give the theater or component commander the flexibility and responsiveness needed in a low-intensity conflict. The air-launched booster also offers more survivable access to space. Tacsats could also augment the Defense Satellite Communications System and the future Milstar system. Desert Storm is a prime example of a situation in which tactical communications satellites could serve a significant role as a force multiplier. The US Defense Advanced Research Projects Agency (DARPA) is the lead organization for tacsat experimentation. DARPA hopes to demonstrate a quick-reaction space capability for operational forces, learn about operational constraints and utility of small satellites, and establish baseline parameters for future small satellite systems.37 Tacsats would provide a capability to reconstitute and augment space systems during a period of high attrition and crisis situations. A tacsat system would give payload control to component commanders, allowing them to allocate system capability commensurate with the tactical situation. In April 1991 the president's National Space Council (NSpC) directed a joint DOD/NASA program to develop and procure a family of launch vehicles and supporting infrastructure to meet civil, commercial, and national security needs. The national launch system (NLS) effort is aimed at providing NASA and DOD with a capability to deliver a wide range of payloads to low-Earth orbit at a low cost and with improved reliability. Gen John L. Piotrowski, commander in chief United States Space Command, described the US military launch infrastructure as lacking characteristics key to other military forces: combat readiness, sustainability, and force structure.38 In recent years, a series of unfortunate events highlighted the fragile nature of the US launch infrastructure (the Challenger tragedy and the explosion at a solid motor propellant plant that destroyed more than half the nation's space and tactical missile propellant production capability).39 As a result of these problems, the NSpC outlined a national recovery plan. This plan rejects sole dependence on the shuttle for access to space and places emphasis on basic technology by calling for designing and building a new booster to meet the needs of US launch activities. This new booster will have to be cost-effective and efficient for peacetime launch, as well as survivable and responsive to the needs of combat forces. The NLS is aimed at achieving a reliability of 98 percent or higher with a launch-on-schedule probability of at least 95 percent, vehicle availability of 90 percent or better, a 30 day or less launch response time, and a surge capability that will accommodate seven payloads within a five-day period.40 The NLS family of launch vehicles is based upon a set of common building blocks that can combine into different vehicles. The Air Force is currently reviewing three vehicle specifications (fig. 11). Designing common modules and using existing launch system elements will minimize NLS costs. The modules will be usable on different vehicles in the family without changing subsystems or redoing major qualification tests. This feature lowers production and operation costs. High-value avionics, control subsystems, and the main engines are integrated into a propulsion module that represents the large majority of the launch vehicle' s total cost. This module also allows recovery and reuse of the high-cost hardware. "National Launch Systems" (Seattle, Wash. n.d.), 2. On-site assembly of vehicles before they are positioned on a launchpad would reduce pad time, enable a multiprocessing capability, and facilitate the exploitation of built-in autonomous testing and processing.43 Months of final assembly and payload integration, all done on pad, inhibit rapid response to operational requirements. Prelaunch preparation and post-launch refurbishment time requirements dictate a large number of pads. Adding flexibility to launch scheduling and allowing faster launch responsiveness in a crisis requires more launchpads and simplified launch structures. 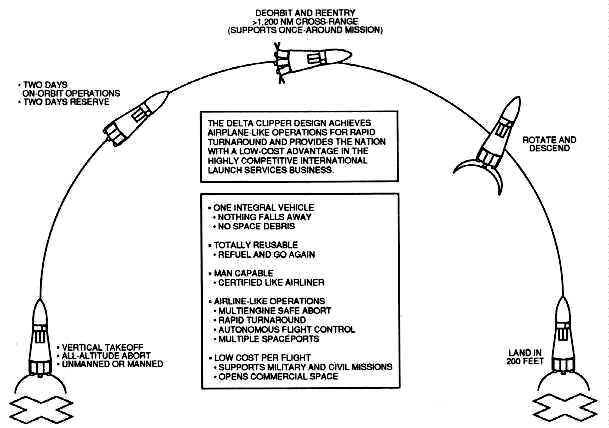 Pad redundancy would alleviate the risk of being denied access to space for certain payload/booster combinations and cover a launch catastrophe that could disable a pad for months. Launch vehicle processing has historically employed large numbers of analysts for data monitoring, diagnostic interpretation, maintenance repair, mission planning, and real-time problem solving. The entire process of booster and payload testing, processing, and launch is lengthy, manpower intensive, and inflexible. An automated monitoring and testing system that can calibrate, process, store, and notify the user of which subsystem has failed and needs replacement could reduce the lengthy integration process time considerably. Low-cost ground operations require an automated system to document and manage ground operations, monitor health status, and perform fault isolation down to the lowest repairable unit. A set of automated test hardware embedded within the vehicle would be needed. The goal would be to develop systems that allow subsystem monitoring and diagnostics on a continuous basis and subsequent unit replacement with minimal time lost. The long-term goal as seen by military leaders is to develop a launch system designed to function under an operational commander and responsive to operational requirements. Assured access to space has become an essential element of national security. Access to space through all levels of conflict is a must as it will contribute directly to US ability to deter war and to provide its forces with the support they need to resolve armed conflict on favorable terms. More innovative than the space plane's engine scheme will be its skin. With the space plane, temperatures will rise not only when the plane is coming down but also when it is going up. The heating is due to the plane's speed and the trajectory it will follow during its climb. The NASP program has been a catalyst for significant advances in metal and metal-matrix technologies. The objective of the materials work by the NASP contractors is to reduce the X-30's weight as much as possible to cut the amount of fuel and thrust required by the engines in addition to solving the heat management problems. In October 1990 the NASP program selected the lifting body design because it provides propulsion advantages over a winged aircraft. The directionally stable lifting body incorporates short wings, dual stabilizers, and a two-man, dorsal crew compartment.50 The plane will probably be 150 to 200 feet long and have a wingspan of about 50 feet.51 The formal teaming of the contractors and selection of a single design will allow program resources to be concentrated and technical problems and solutions to be more sharply defined. The focus of the program is to get to orbit using a single-stage vehicle and to stretch the limits of air-breathing propulsion technology. NASP is a stimulus to new technology and can provide space launch flexibility and cheaper access to space. The fundamental barrier to reducing the costs of space launch with rockets is technical--the need to carry both fuel and oxygen. Development of NASP can lighten this inescapable weight burden and associated cost per pound. "Single Stage Rocket Technology" (Huntington Beach, Calif., n.d.), 1-2. The single stage to orbit (SSTO) program basically has the same objectives as the NASP program--to develop a cheap and reliable spacecraft that will have widespread military, commercial, and scientific applications. SSTO differs from NASP in that it is a vertical takeoff and landing orbiter. The benefits of SSTO also mirror that of NASP: recoverable, reusable, low cost, and flexible as to its launch capability. Designed to meet the requirements of a broad set of commercial and military missions, the Delta Clipper offers a path to vastly improved space transportation where rocket performance combines with routine airline safety and reliability. The ship has the capability for vertical takeoff and landing, for which operational feasibility has already been demonstrated both on Earth and the Moon.53 It would launch like an everyday expendable launch vehicle and land like a lunar module. Navigation and guidance would be accomplished via global positioning satellites. The vehicle would be able to operate independently of complex launch ranges and mission controls, as it can launch on demand from any base and in any direction. Vehicle and ground servicing techniques are derived from those used for commercial aircraft. Automated ground flight operations would reduce the number of support personnel needed and associated costs. The Strategic Defense Initiative Organization is acquiring and managing the global protection against limited strikes (GPALS) system. GPALS consists of multilayered ground and space-based sensors and weapons that will provide the capabilities for global surveillance and destruction of ballistic missiles. GPALS is comprised of three segments: theater missile defense, national missile defense, and global missile defense. These segments and the GPALS architecture are discussed in chapter 3. In operation, GPALS will give the US and allied nations high-confidence protection against limited ballistic missile attacks, including accidental or unauthorized launches from any source. The role of space in future conflicts will be limited only by failures to develop new technologies and enhancements to current space systems and to provide access to war fighters. Space and launch systems of tomorrow must focus on requirements to provide improved tactical warning and attack assessment. Upgrades to the ground- and space-based surveillance assets, improved launch capacity, support needs, flexibility, and responsiveness of space systems are a necessity to ensure continued support of US air, land, sea, and space forces. 1. Col Dennis M. Drew and Dr Donald M. Snow, Making Strategy: An Introduction to National Security Processes and Problems (Maxwell AFB, Ala.: Air University Press, 1988), 83. 2. AFM I-1, Basic Aerospace Doctrine of the United States Air Force, vol. I, March 1992, 5. 4. Gen Donald J. Kutyna, "Testimony Before Senate Armed Services Committee," manuscript briefing, 23 April 1991, 19. 5. Drew and Snow, 85. 14. 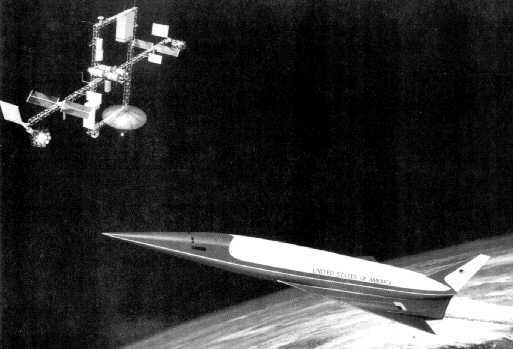 Capt Paul J. Helt, "Space Based Wide Area Surveillance System" (Unpublished paper, AFSPACECOM/XRFT, undated), 3. 15. William L. Wolfe and George J. Zissis, eds., The Infrared Handbook (Ann Arbor, Mich.: Environmental Research Institute of Michigan, 1985), 22.46. 17. Capt David Dingle, "Multispectral Imagery Capability" (Unpublished paper, AFSPACECOM/XRFT, 17 May 1991),1. 21. Maj Theodore W. Burgner, "Space Handbook" (Paper presented as input for revision of Air University Space Handbook, 2d Space Wing/DOT, Falcon AFB, Colo., August 1991),12. 22. C. Richard Whelan, Guide to Military Space Programs (Arlington, Va.: Pasha Publications Inc., 1984), 58. 23. Dr Kostas Liopiros and Dr Edward Lam, "Extremely High Frequency Satellites Offer Flexibility," Signal 44, no. 11 (July 1990): 77. 24. James W. Rawles, "Milstar Fights for Survival," Defense Electronics 22, no. 3 (March 1990): 51. 25. Philip J. Klass, "First Milstar Satellite to Undergo Final Integration Tests in 1990," Aviation Week & Space Technology, 3 April 1989, 61. 28. Liopiros and Lam, 79. 30. Liopiros and Lam, 78. 32. Michael A. Dornheim, "Navy Likely to Add New Capability to UHF Follow-on Communications Satellites," Aviation Week & Space Technology, 4 June 1990, 69. 33. Capt Mark Tyson, "Tactical Satellites Initiative" (Unpublished paper, AFSPACECOM/XRFT, 20 August 1991), 1. 35. Holly Porteous, "Satellites Made Simple--Lightsats," Jane's Defence Weekly 15, no. 22 (1 June 1991): 926. 36. Capt Mark J. Deves, "Light Satellites Capture Military Planner Interest," Signal 45, no. 10 (June 1991): 54. 37. Barry Miller, "Lightsats to Boost Survivable Access to Space," Armed Forces Journal International 127, no. 11 (June 1990): 54. 38. Gen John L. Piotrowski, "Military Space Launch: The Path to a More Responsive System (Part 1)," Aerospace & Defense Science 9, no. 7 (July 1990): 43. 40. William B. Scott, "ALS Cost, Efficiency to Depend Heavily on Process Improvements," Aviation Week & Space Technology, 23 October 1989, 41. 45. Edward H. Kolcum, "Contractors Pursue NASP Technology Despite Possible Funding Cutbacks," Aviation Week & Space Technology, 22 May 1989, 96. 48. Stanley W. Kandebo, "Lifting Body Design is Key to Single-Stage-to-Orbit," Aviation Week & Space Technology, 29 October 1990, 36. 49. Jeffrey Kluger, "Space Plane," Discover, November 1989, 82. 52. "Single Stage To Orbit Gains New Momentum, Adherents," Signal, June 1991, 37. 54. A. Royce Dalby, "The Delta Clipper," Ad Astra, October 1991, 25. 56. Edward H. Kolcum, "Delta Clipper Partners Set Goal for Single-Stage-to-Orbit Vehicle," Aviation Week & Space Technology, 3 February 1992, 56.